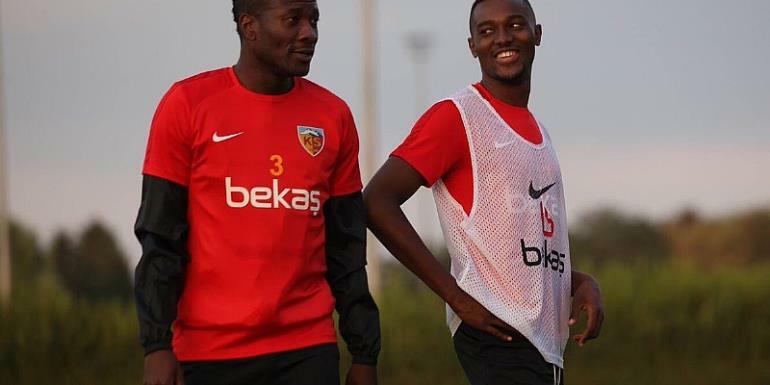 Black Stars captain, Asamoah Gyan has returned to Kayserispor training ahead of their game against Sivasspor this weekend. The 31 year old was reported to have picked up an injury and could stay out for at least two weeks. However, Gyan joined his teammates to prepare for their upcoming fixture proving he is fit contrary to earlier reports and was involved in the team’s physical training session. This puts him in contention for Saturday’s League game against Sivasspor. Gyan missed Ghana’s Cup of Nations qualifier against Kenya and was said to have aggravated his injury upon his return to his Club. Teammate Bernard Mensah still remain in the treatment room with an injury.